Company Info｜OFF＆ONLINE Idea! Advertisement solution Treasure Hunt,Inc. ■Name : Treasure Hunt, Inc.
March 1969 : Graduated Keio University's Engineering graduate program.  June 1989 : Head of Advertising and PR at Japan IBM Inc.
January 1996 : Head of Consumer Business at Japan IBM Inc.
June 1996 : Managing Director at ASCII Inc.
October 1996 : Executive Director at ASCII Inc.
June 1998 : Representative Director and Vice President at Sega Enterprises. October 1999 : Representative Director and President at @Net Home Inc.
January 2004 : CEO of Columbia Music Entertainment Inc.
June 2009 : Honorary Consultant Director. April 2010 : Representative of 121 Works Limited Company. March 1980 : Graduate Chuo University's Philosophy Department. 1982-1984 : Tele Planing International Inc.
1984-2012 : Managing Director at McCann Erickson. Held position as adviser to Managing Director at McCann World Holdings. July 2013 : Managing Director and Chief Creative Director at J Inc. Present Post. Ex-Managing Director of the Japan branch of the worldwide advertising communication group IPG's McCann Erickson, and co-founder of Treasure Hunt. Also works to provide clients with profitable through-the-line type client service. At Enjin they seek to create marketing plans not only from data but by focusing also on human sensibility. 1984 : Graduate from Seinan Gakuin University Department of Literature's English major. Enter McCann Erickson as Account Director. March 2002 : Enter Japanese Advertising Agency in LA County in the USA. April 2006 : Web Producer,Sales Planning Manager and marketing director at a Web consulting firm in Fukuoka. July 2008 : Establish Treasure Hunt, Inc.
March 2014 : Marketing advisor at Miracle Fight Entertainment Inc.
McCann Erickson Japan Inc., Mitsubishi Materials Corporation, RIKEN VITAMIN CO., LTD..
We appreciate doing business with you including all the companies that have not been listed here. Thank you very much. F@N Communications, Inc., Micro Ad Inc, MightyAce Inc, Yahoo Inc. Thank you to all the companies including those that aren't listed here. ・KGI / KPI optimization of websites through increase in access and conversions. ・PDCA marketing consulting and improvement in listing efficiencies, SEO measures and utilization of DSP for maximization of CV. ・Developmentn of websites based on brand strategy. ・UX / UI research for Web sites and internet surveys. ・Development of PC sites and Smartphone sites. ・Optimization of B2C and B2B landing pages.